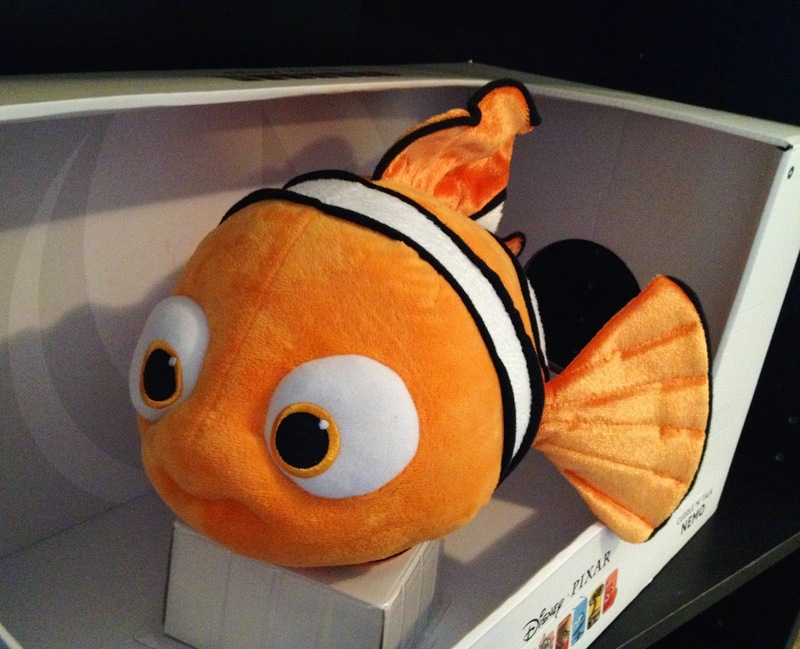 From Thinkway Toys, here we have the brand new 2014 Cuddle 'N' Talk Nemo! 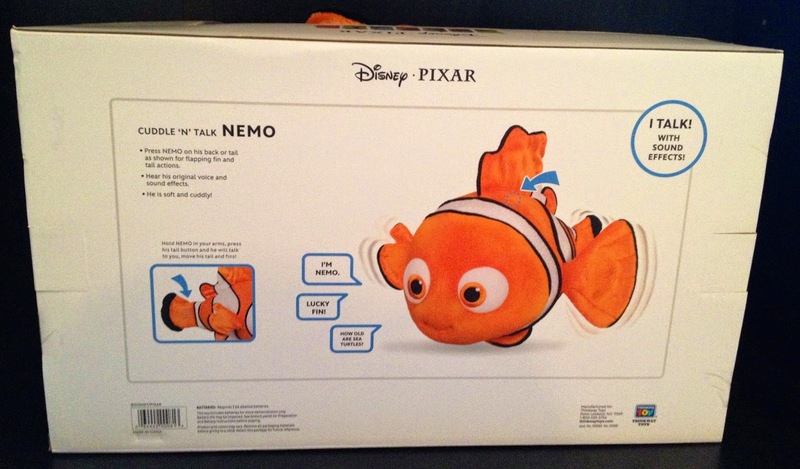 This has just been released as a Toys R Us exclusive and retails for $39.99. "First day of school! First day of school! Wake up, wake up!" "How old are sea turtles?" "They live to be 100 years old!" "It's my dad! He took on a shark!" "Have you ever met a shark?" "Um, excuse me...are you alright?" "It's ok, I'm looking for someone too." "Hey, we can look together." He is recommended for ages four and up. 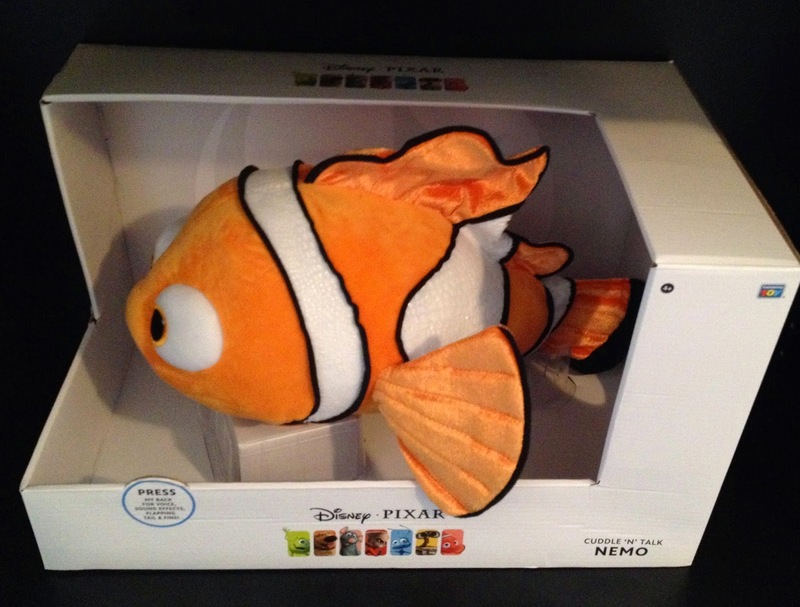 This Nemo is part of Thinkway Toy's new Disney/Pixar Collection (see the full collection on their site HERE) and features the fantastic Pixar product packaging that we've seen a lot of over the past year. I love the look of the packaging, it feels so fresh and new with a very clean and simplistic design. 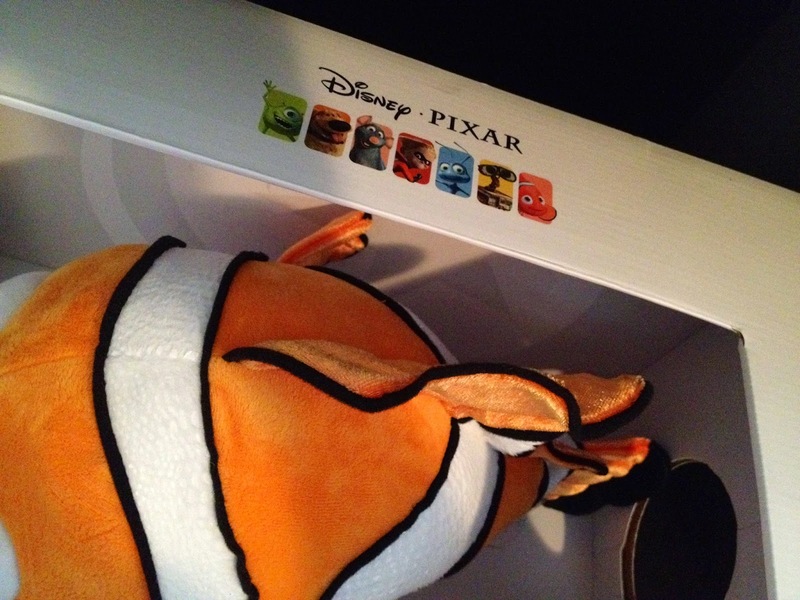 It's also very exciting to have new products and re-releases for many of the older Pixar films such as Wall-E, Up, The Incredibles and others. You just don't see much out there from them! At over a foot long and just over six inches in height, I was also impressed with how big this toy is. As usual from Thinkway, this is a high quality product with a near perfect likeness. A huge thanks to my awesome, thoughtful and supportive wife Brita who snagged this for me as a "Back to School" present! Yesterday was my first day of classes for this semester and she woke me up with this by having Nemo say "First day of school! First day of school! Wake up, wake up!" Needless to say, it definitely woke me up and started my day off right! It was the perfect plan. Thanks for visiting and be sure to contact me with any comments or questions you may have. 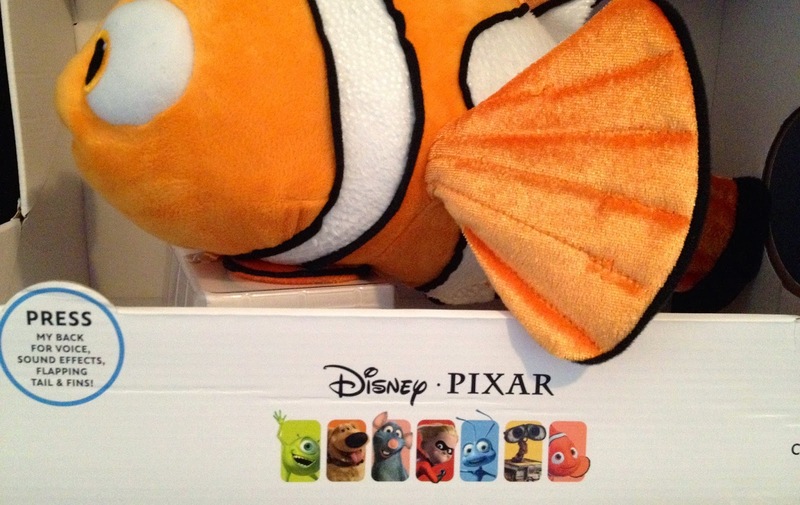 Come back daily for more from my Pixar collection!